We’ve come back from a lovely week in La Palma, a place I stumbled upon while looking for a cheaper summer holiday after going skying this February. 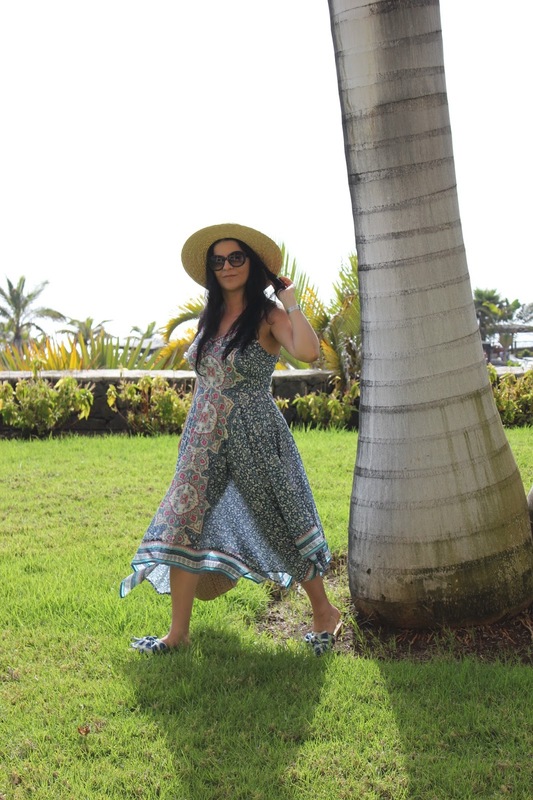 First outfit, based around this cute, tile print, handkerchief design beach dress from Monsoon, bit see through but that’s fine for a beach dress even if you wear it at night while on holiday. The shape of it, the v-neck and the high pinched waist is very flattering for a more voluptuous body shape like mine. The gorgeous basket bag with little pompoms is from Zara, now sold out, the boater hat is an oldie from Topshop, similar ones on Ebay, linked one here and the sunnies are from Joy, where you actually get a fab glasses case for free with the sunnies, that is normally £5.00 on it’s own. The bow sandals were a birthday gift from hubby (well, my choice out of hubby’s contribution), I had been pinning for them for months, and went to Leeds with a friend and there they were in the my fav Anthropologie shop, a size bigger, but what do you know, I did need to size up so it was definitely faith! 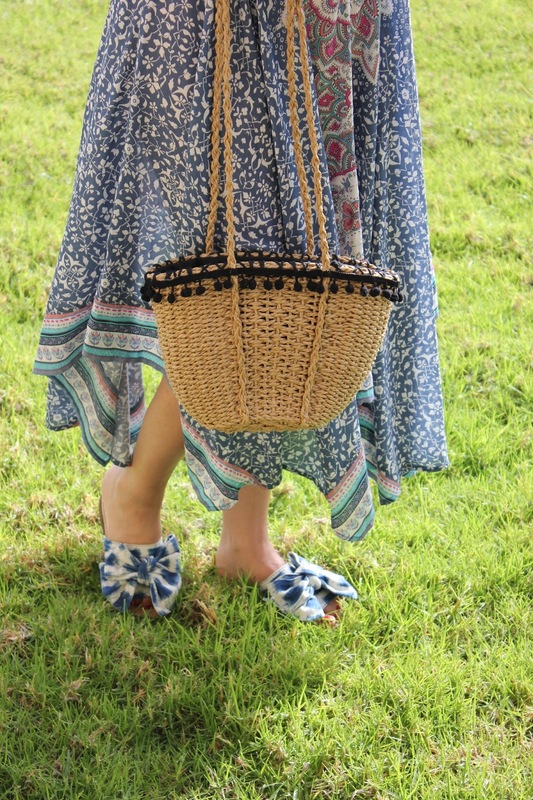 🙂 I love them to bits, they are stunning, the colour so vibrant, the bows are a bit exaggerated, just enough to make a statement and they are the most comfortable sandals ever! It’s a scorcher in Yorkshire today so hubby and I are off to Dottie’s (see post here) for a treat this afternoon, hope you all enjoy this gorgeous Sunday! Such a pretty dress! It looks great paired with the straw accessories! I love your outfit. Your straw purse is really cute.